Nowadays there are several multipurpose free WordPress themes which are coming online and are being added. But are they really multipurpose is the real question. Because most of them lack basic features and aren’t responsive or compatible with the latest version of WordPress. Also most are filled with junk coding and aren’t that much effective in terms of SEO. We bring to you some of the best free multipurpose WordPress themes which are truly multipurpose and can be used for any kind of industry and website purpose. These themes have common features like compatible with Woocommerce, tested with latest WordPress versions as well as theme check plugin passed and of course all are Google mobile friendly and responsive themes. SKT White as the name suggests is a white based multipurpose free WordPress theme which can be used for any kind of industry like business, personal, wedding, photography and any kind of website you can think of. Have been downloaded for more than 100K times on WordPress.org this sure is one of the most popular WordPress themes out there. Beautiful slider on top using Nivo Slider which is responsive and full. Animated theme which looks very good when browsed through the content. Fully responsive with 5 slides ability on the top. This theme can be used for Ecommerce as well as its compatible with WooCommerce. Compatible with contact forms and nextgen gallery for gallery use. Most popular Social media icons have been included. No junk coding and coded as per WordPress standards. IT Consultant Lite is a white and red based beautiful looking consultant WordPress theme which targets consultants, freelancers, personals and entrepreneurs of any kind. It might also be used for other business purposes.Hence it becomes another multipurpose free WordPress theme. Even though this theme is free but the features it carries are awesome and unique like changes you do can be checked and tested live due to customizer, links changes can be done easily, footer twitter area is widgetized and homepage loads itself with content which can be changed very easily. Minimal free consultant WordPress theme so that focus is majorly on content. Google mobile friendly passed theme. Responsive and hence looks good on all devices and browsers. Compatible with latest version of WordPress and plugins. Gravida Lite is a black and green responsive corporate multipurpose free WordPress theme which looks not just modern but unique due to the color combination used. Also the theme uses customizer API and hence one can check the changes live. Easy to set up and requires no html knowledge this theme consists of slider settings, homepage boxes which can be prefilled. All you need to do is select the pages. And latest posts. Compatible with Contact form 7 and WooCommerce this theme can be used for shopping as well as other industry usage as well. Gravida is a corporate WordPress theme and is responsive. Using Customizer one can easily make live changes while checking them. Compatible with Woocommerce, nextgen and contact form 7. SKT Full Width is one of the most popular multipurpose free WordPress theme having been downloaded for more than 150K times. Get a visually awesome website with full wide images which speak volume. We all know images speak more than words and that is what applies to this theme. Users can easily add upto 5 slides and showcase their work as well as link them to either external urls or internal pages. Set up on a dark background and transparent black menu which toggles one may even close the menu to check the whole background image. Best suited for architects, showcase, portfolio, personal, photography or any other kind of business use. Visually stunning full wide images on the homepage to showcase what you/company does. Popular social media like Facebook and Twitter included in footer. Coded with WordPress Theme Unit Test Review Standards. Blog section has possibility to add photo as well as videos. Bizness means business. This as per its name has been designed keeping in mind business style of themes and what people expect out of a business WordPress website. It has been designed with Green and white colors so that the focus is more on info rather than on colors as these colors soothe one’s eyes. Also call to action is important and that is included in this theme where the right hand corner has social icons, telephone number and email id showcased for clients of your websites to easily contact you. Passes Google mobile friendly test and speed test this theme is one of the fastest WordPress themes developed on Customizer API where no html knowledge is needed to operate this theme. Backed by powerful support and documentation this multipurpose free WordPress theme is definitely usable and should be downloaded for use. Kraft Lite is a multipurpose free WordPress theme which has premium features like fast loading, making changes real time, integrated with font awesome, no junk code and coded with WordPress handbook and standard pages like 404, categories, archives, search and blog pages available. Right sidebar is widgetized so include contact form or other call to actions like location info etc. All in one simple, adaptable and multipurpose free responsive WordPress theme. Super fast loading WordPress theme. Slider with upto 5 slides working. Integrated with Font awesome navigation definitely looks super cool. Compatible with Nextgen gallery for gallery/portfolio showcase. Compatible with contact form 7 and other contact forms. Compatible with Woocommerce for Ecommerce or opening a shop using this theme. Super fast loading theme as built upon Customizer API. Check changes live as customizer allows changes seen during implementation. Get upto 5 slides on the homepage. I Am One is a one page free WordPress theme which has 12 sections on the homepage which can be managed easily and are preloaded into section editor which is the same editor WordPress uses. All you have to do is edit the title, and description and include whatever you need in this theme to set up the single page free WordPress theme. All popular social media icons are included. 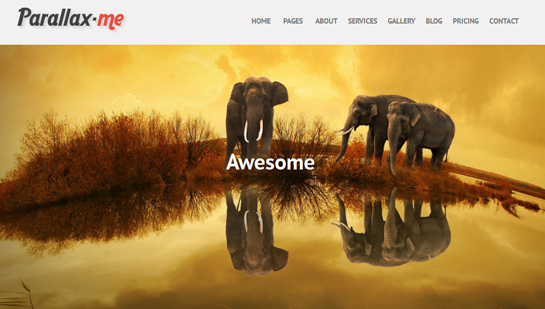 I Am One is a responsive free multipurpose WordPress theme. Comes with beautiful Parallax Slider. HomePage consists of more than 12 sections which are easily manageable. One page WordPress theme which has more than 12 items in the homepage. Sections are managed using visual or text editor (same editor which WordPress has in pages/posts). Compatible with Woocommerce for Ecommerce and shop purposes. SKT Biz is a business WordPress theme which can be used for other purposes as well. The blue and the white colors are eye soothing and focus more on the content. Search bar is included on the top and footer includes contact info and social media icons for call to action purposes. Easy to manage and requires no html coding this theme homepage can be set up and easily populated and then edited using the same editor we get in pages/posts. Backed by popular theme options which allow color and link color changes you also get support for this theme as well as documentation is available. SKT Biz is a free responsive multipurpose WordPress theme. Home Page manageable using theme options and sections. Easy to use blog and other page templates. WordPress theme check plugin test passed. Compatible with all kinds of popular SEO, Ecommerce, Gallery and contact form plugins. Popular social media icons are also present. SKT Parallax Me is a one page parallax free WordPress theme. Setting up the theme is like a piece of cake where you just need to install the theme and go to Sections in theme options to manage the homepage sections. Preloaded with 10 sections full of content all you need to do is edit and replace with your own content. It even has option to delete/remove the sections you don’t need. The top parallax slider is full width and any image added gets converted into awesome parallax style. It is a complete one page free WordPress theme which has navigation linked to menu for ease of use. SKT Parallax Me is fully responsive and compatible on all devices. Easiest framework and theme options require no html knowledge. Ability to add as many as 10 different sections on the one page theme. Since its one page navigation menu sets up automatically with section names and one can navigate to the section they want by clicking on them. SKT Panaroma is a nicely laid visually retreating free WordPress theme which can be used to showcase portfolio or photographs, shoots etc. It can be used for business websites but can also be used for singers, musicians, portfolio owners, personal websites, photographers, artists, among others. Easy to use no brainer theme options. Default footer also set up with location and social media icons. Can be used for any personal, business or other uses. SKT Corp is laid on a nice white and green which gives the look and feel of a corporate website. Content comes preloaded into sections in the homepage and can be easily managed without knowledge of coding. Free Responsive WordPress theme works in all devices. 5 slides on the homepage. Home page easy to set up and use with the help of sections. SKT Black is a black free WordPress theme which can be used as a single page or multiple page WordPress theme. It gets preloaded with 10 sections on the homepage and comes preloaded with several popular social icons. One may even hide the sections which aren’t needed. It is a responsive WordPress theme which can be used for any kind of websites and hence is a multipurpose free WordPress theme. Responsive and is mobile and tablet friendly. 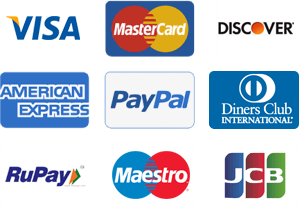 Compatible with popular plugins like Contact form 7 and WooCommerce. Full Black and orange colors or hover and link can be changed to any color. Compatible with Nextgen gallery for photography purposes. Compatible with Woocommerce for shop. Compatible with several SEO plugins. Compatible with several contact forms. Engage with your audience base: With a website up and running, with the perfect theme and quality content, you should be able to develop your own audience base. You may also want to integrate your social media accounts with your website so that social media users can tag your web posts and even share the same with others. The point being that with an active website up and running, you should be able to interact directly with your customers and this should even help result in better traffic for your website. Increase your reach: With your website up and running, you can tweak it to display the content in multiple languages, and target a wider demographic. You can also run several streamlined campaigns so that you can target them more effectively and even tweak the campaigns for the same purpose. You should be able to do all this once you have a website, and with it and with various tools you should be able to increase your reach exponentially. Branding: Companies can rebrand themselves so that customers can easily identify with their brand as with Coke, Nike etc. There’s no bar against small and new start ups from using their website for rebranding themselves, and the good news is that rebranding is much more effective when the website is new or has not been around for long. So, that’s something that you may want to consider tapping when you set up your website. By effectively rebranding yourself, you should be able to develop a loyal customer base, get more prospective leads and give your SEO rankings a boost as well. These are some of the reasons as to why you should set up a website at the earliest. Often people assume that once you set up a website, that’s it but in reality, you would have to work hard at making your website stand out from the rest and with these customized themes, you should be able to do just that. This entry was posted in wordpress themes on December 19, 2018 by SKT Posts Themes.